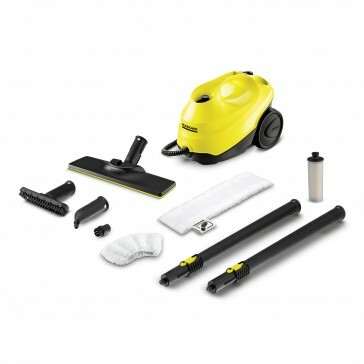 If you like effortless top to bottom cleaning, the Karcher SC3 steam cleaner is for you. 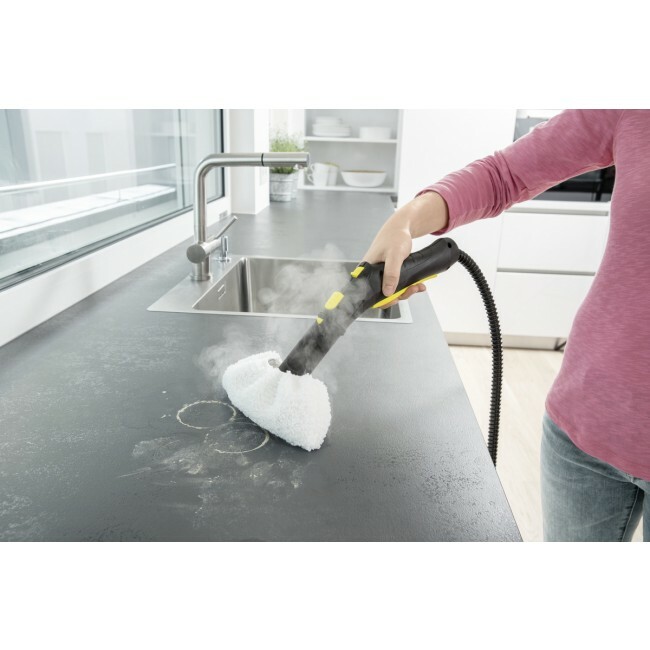 The Kärcher SC 3 puts the effective power of steam into a powerful and lightweight package, harnessing the dirt-shifting power of pure steam to deliver amazing deep cleaning results from nothing more than tap water. 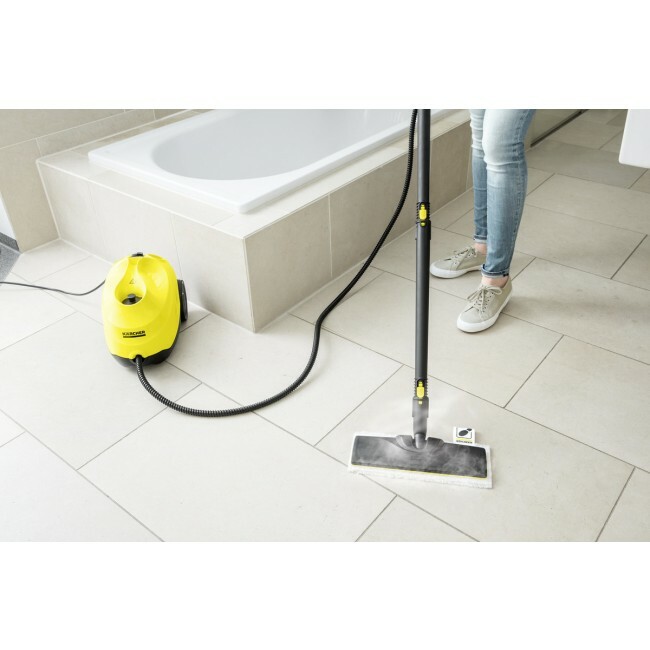 The SC 3 is ready to use in just 30 seconds, delivering continuous steam to make light work of dirt, limescale and stubborn stains around the home, as well as keeping your hard floors clean and fresh. 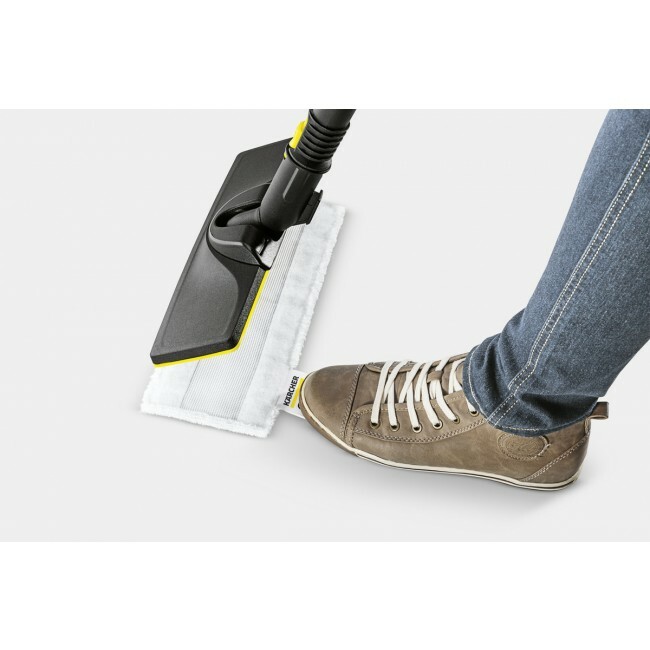 The SC 3 steam cleaner includes on-board storage for tools and accessories, with all the attachments and brushes you need for cleaning every corner of your home. 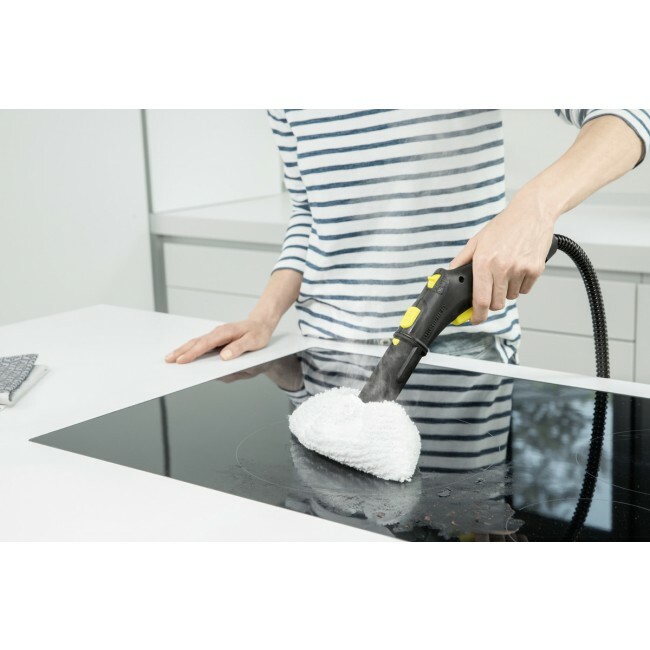 It's great for removing tough grease from oven doors and hobs, everyday dirt from hard floors, stubborn stains from upholstery and carpets, and even limescale and mould from tiles and taps, leaving your home effortlessly sparkling with no chemicals or scrubbing. 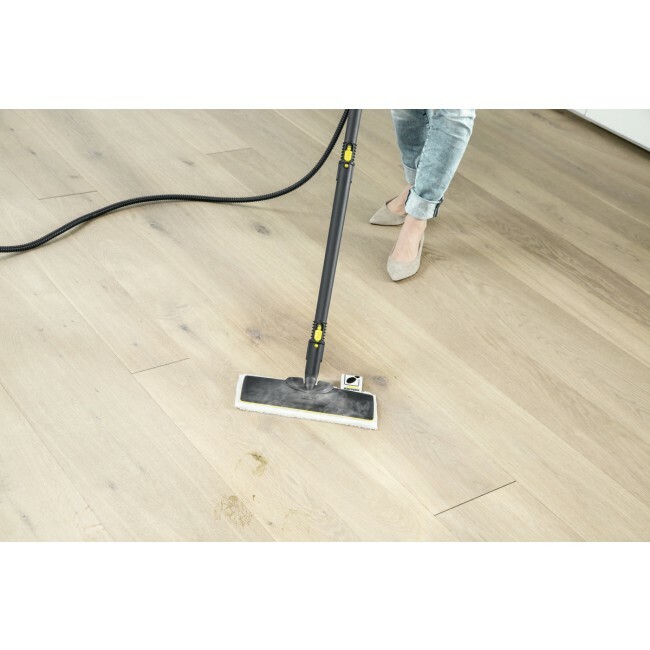 The SC 3 includes a hard floor cleaning kit, for effortless deep cleaning of tiled, stone, wood or laminate floors. 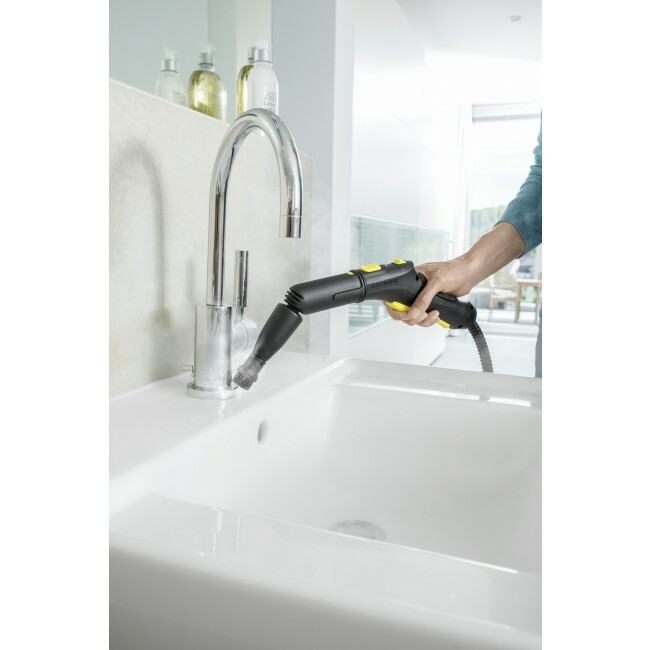 A locking system offers reliable protection against improper use by children.Steam flow control on handle The steam volume can be individually adjusted to the surface and dirt. Accessory storage and parking position Allowing easy accessory storage, including a parking position for the floor nozzle during breaks. 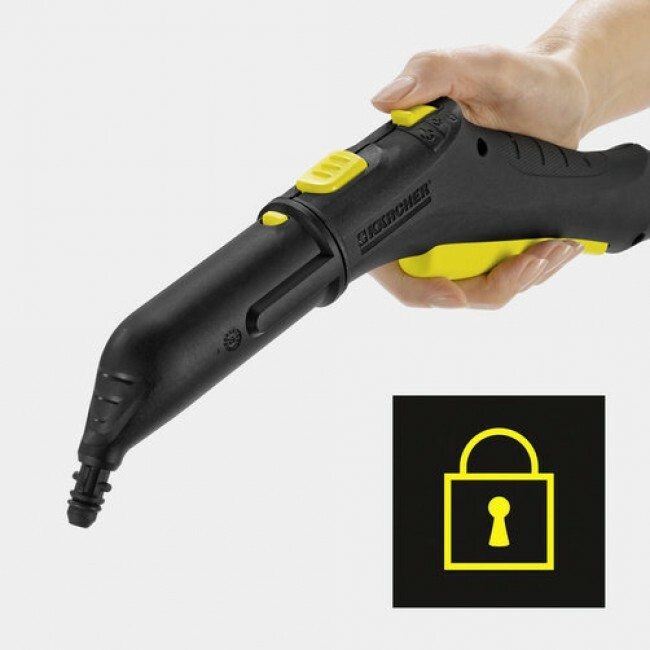 On/Off switch on the machine, Easy to switch on and off.